Abeno is a first-year highschool student. He's also in the same class as Ashiya. 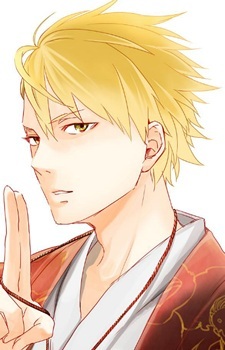 He's the current master of the Mononokean and the one who exorcised Ashiya when he was possessed by Moja Moja (Fuzzy). He can open up two portals a day to Underworld, but this can drain his energy. He was rumored to have killed the previous master of the Mononokean in Underworld, but that is just a false rumor.